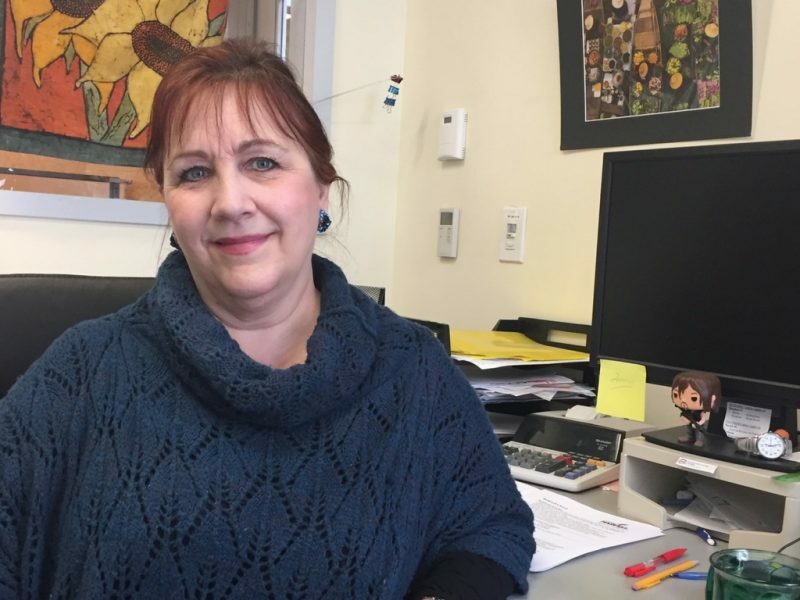 In the early 1980s, Lee Newton, a Winnipeg graphic designer, watched a documentary about a New York City food bank that sparked a desire in her to start a similar organization in Winnipeg. Her passion to help hungry families in her community was the beginning of Winnipeg Harvest. Along with the passion of Executive Director David Northcott, Harvest has remained an integral part of the community for the last 31 years. Lee Newton, Winnipeg Harvest founder. Photo credit: The Herald. Winnipeg Harvest is a non-profit, community based organization that is a food distribution and training centre. Its goal is to collect and share surplus food with people who are hungry and to offer training opportunities to help people step up and out of poverty. Winnipeg Harvest’s ultimate goal: eliminate the need for food banks in the community. Sally Solomon, Winnipeg Harvest Food Relations Manager. Sally Solomon has been the Food Relations Manager for Winnipeg Harvest for two years. Her job is to work with food manufacturers, processors, retailers, and individuals and groups. Prior to working with Winnipeg Harvest, Solomon had a career working in marketing and communications but she had also been a volunteer with the organization since 1989. “I always say that I have to best job in the world for the worst reason. It’s unfortunate that there is poverty in the community but at least I can be part of the solution,” Solomon explains. “It’s also very inspiring for me to work with corporations and individuals who also want to make a difference in the community. Deb Swereda, Agency Distribution Relations. 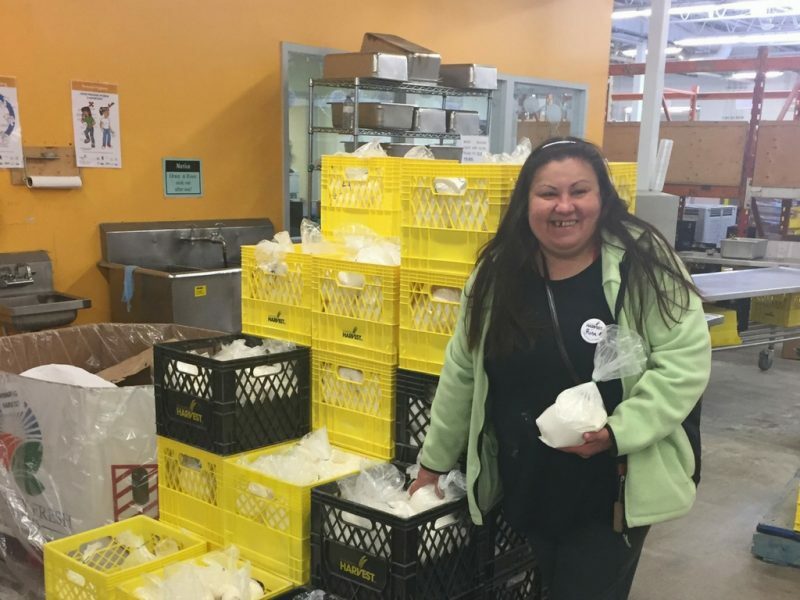 Winnipeg Harvest works with nearly 400 distribution centres in Manitoba who distribute food to people in need. These distribution centres include food banks, soup kitchens, schools, daycares, faith groups and community centres. Last year, Winnipeg Harvest distributed 13 million pounds of food to nearly 62,000 people a month! Manitoba has the highest rate of food bank users in Canada and the second highest rate of child food bank users. Winnipeg Harvest is a not-for-profit organization and does not receive operating money from the government or United Way. In order for Winnipeg Harvest to function, it needs three things: food donations, volunteer hours and monetary donations to cover operational costs. 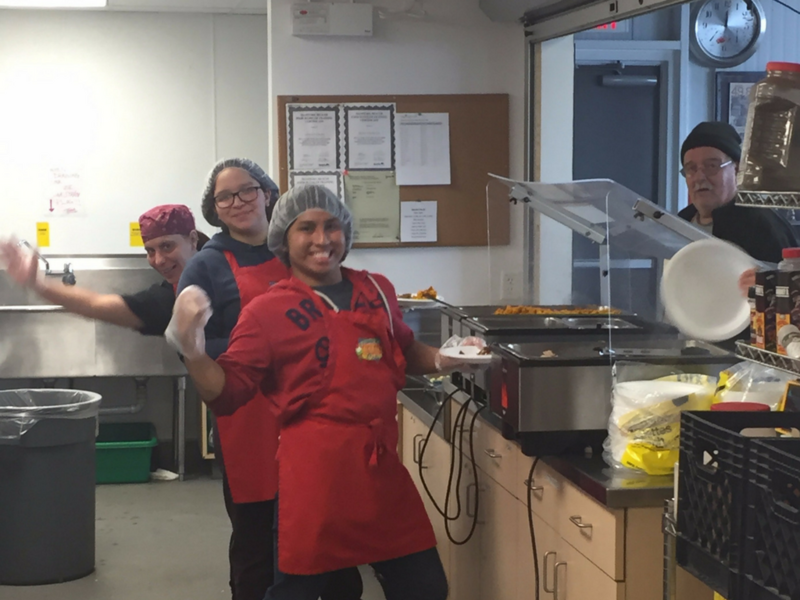 Volunteer time in the kitchen can be rewarding, and fun! While getting food to hungry families is the main priority for this not-for-profit, there are two other critical components to Winnipeg Harvest’s mission. They also provide training to individuals to help them become more employable and they work to bring awareness to hunger issues in the community while working on long-term solutions to eradicate poverty all together. Many volunteers also participate in training programs offered by Winnipeg Harvest. Photo credit: Winnipeg Harvest. The training programs at Winnipeg Harvest provide both classroom theory and hands-on training to community members who seek to make a change in their employment status. The three training programs offered are: Call Centre, Warehouse and Kitchen and are open to everyone who meets the criteria. They recognize individuals’ strengths and experiences, and their commitment is to help the participants to develop a good understanding of the skills and abilities required to gain entry-level employment. 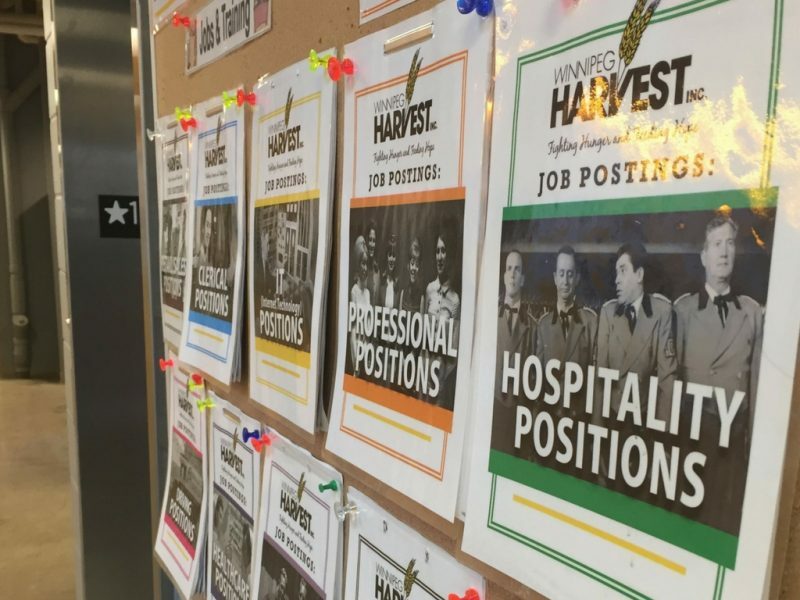 Trainees can apply for employment opportunities posted on Winnipeg Harvest’s job board. 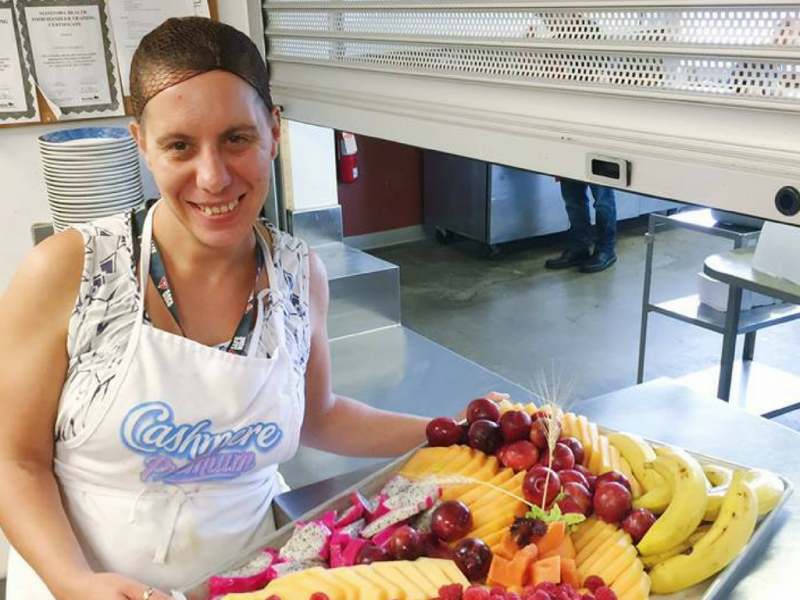 “These classroom programs help train people so they can be more employable which moves us toward our ultimate goal of eliminating the need for people using food banks in our community,” Solomon says. Forty-three per cent of people using Winnipeg Harvest are children, a staggering statistic to say the least. And for children, pregnant and nursing women, dairy is crucial to a healthy diet. The Dairy Farmers of Manitoba donate raw milk to Winnipeg Harvest to be distributed to people in need. Through that same program, Bothwell Cheese has been processing this milk into cheese for Winnipeg Harvest since 2009. 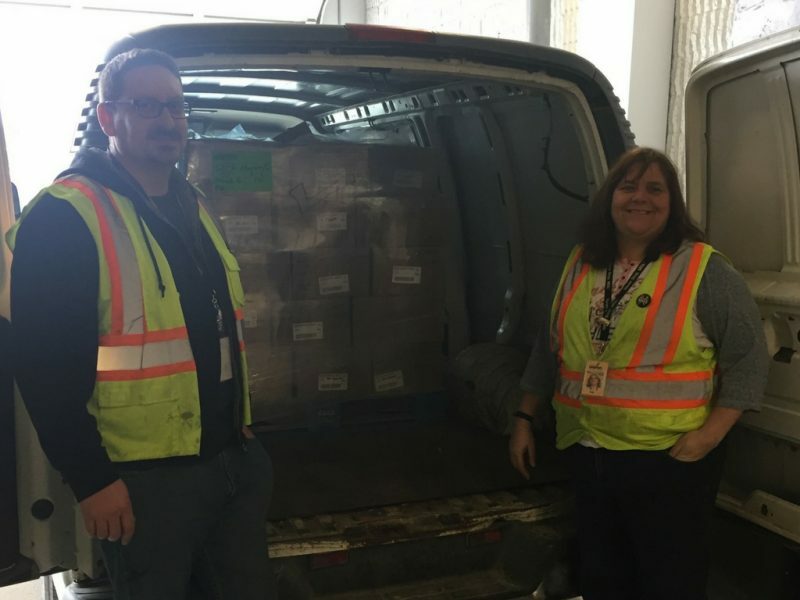 Winnipeg Harvest staff receiving Bothwell Cheese donation. “Dairy is a rare commodity for us but when we do have it, we give it to children and to nursing and pregnant women. One unit of cheese is given to families with kids and one unit of cheese is given to pregnant or nursing moms,” Solomon says. In 2016, Bothwell Cheese donated nearly 30,000 pounds of cheese to Winnipeg Harvest. 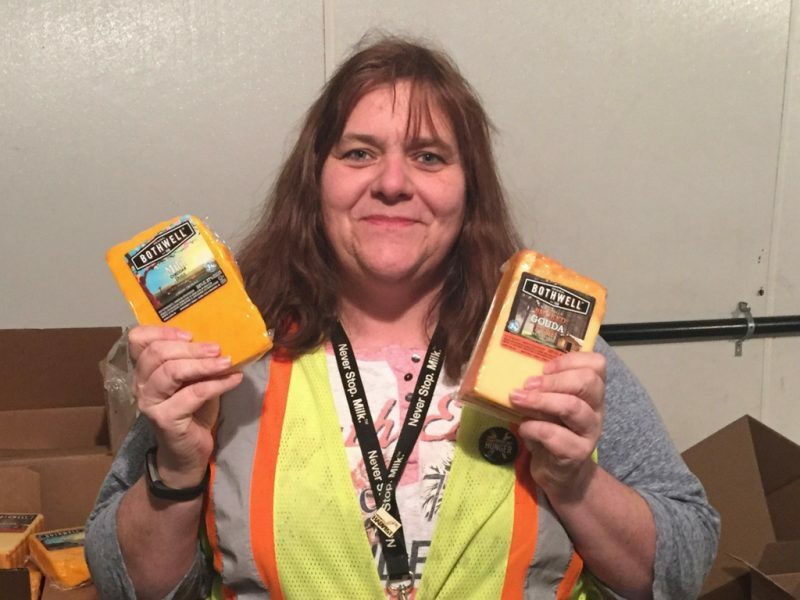 The cheese was distributed in Winnipeg but also to distribution centres in rural Manitoba. “Our volunteers always boast about how much they love Bothwell Cheese because of what they bring to the table, so to speak. Bothwell Cheese is filling a critical need for us and we cannot thank them enough,” Solomon explains. Dairy supply can be a challenge at Winnipeg Harvest. When dairy products are available, priority goes to children and nursing or pregnant women. Solomon’s joy for her work is undeniable – you can hear it in her voice. What makes her job so special, she says, is the interconnectedness of every person who makes Winnipeg Harvest’s vision come to life. Winnipeg Harvest is a founding member of Food Banks Canada and the Manitoba Association of Food Banks. For more information about Winnipeg Harvest, visit http://www.winnipegharvest.org.